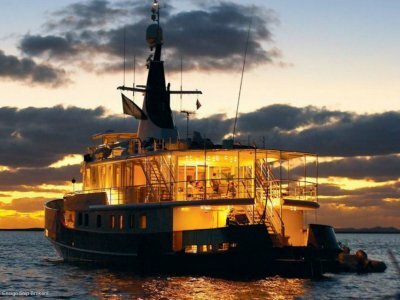 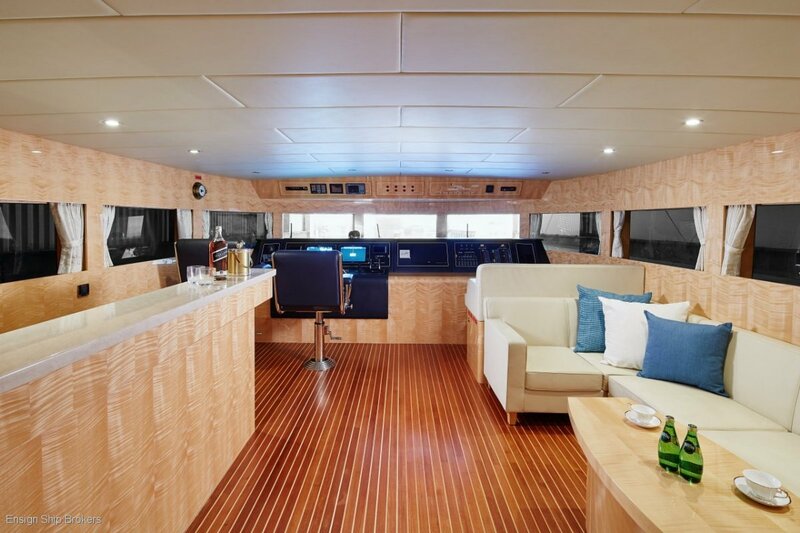 Huge interior volume, five cabin plus crew, main deck master, highly optioned and specified, gyro and fin stabilised, very low hours, in excellent condition. 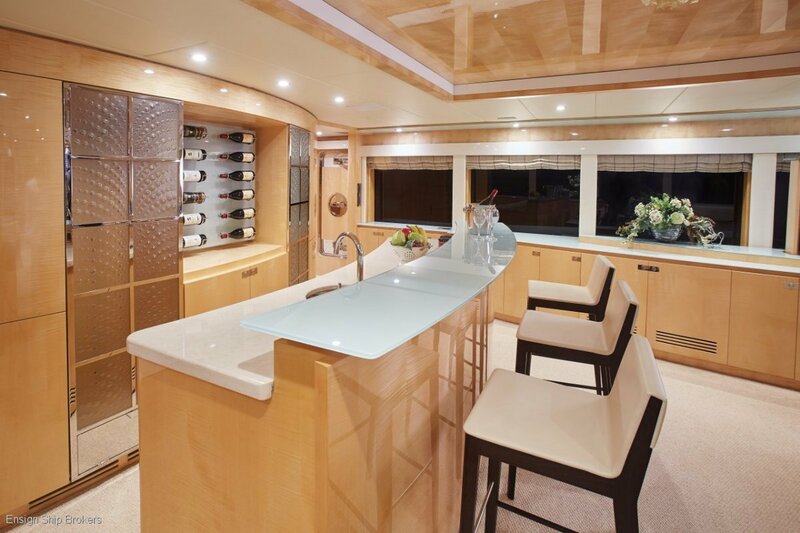 The Johnson 108 is built for entertaining. 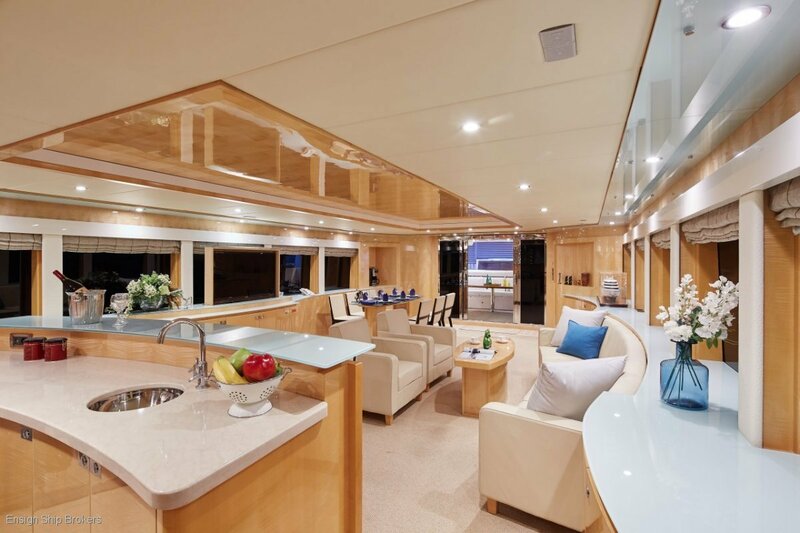 Take your pick, from the open plan salon complete with bar and formal dining area, to the spacious skylounge, from the aft deck settee to the flybridge wrap around seating there is always enough room to cater for all of your guests in complete comfort and luxurious style. 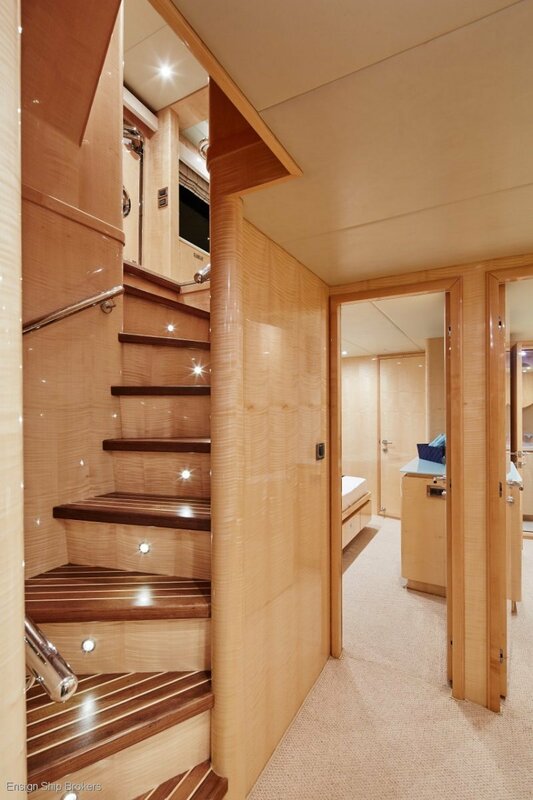 The interior decoration is light and bright throughout adding to the overall feeling of space. 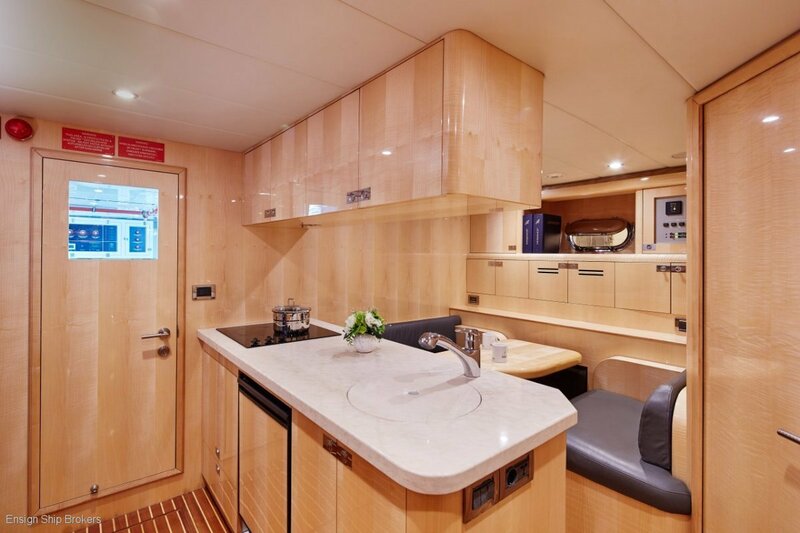 The massive on deck master with expansive 180 degree views forward is definitely one of the interior highlights. 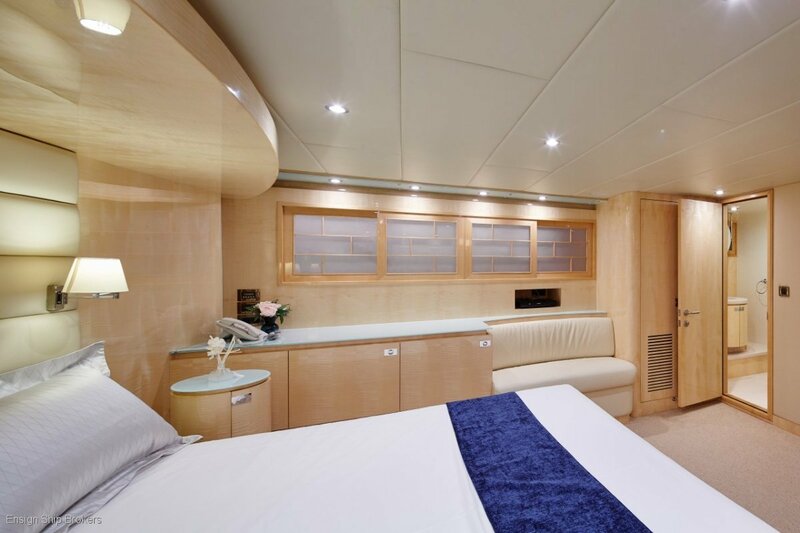 However the VIP stateroom below decks forward is also extremely roomy and very well appointed. 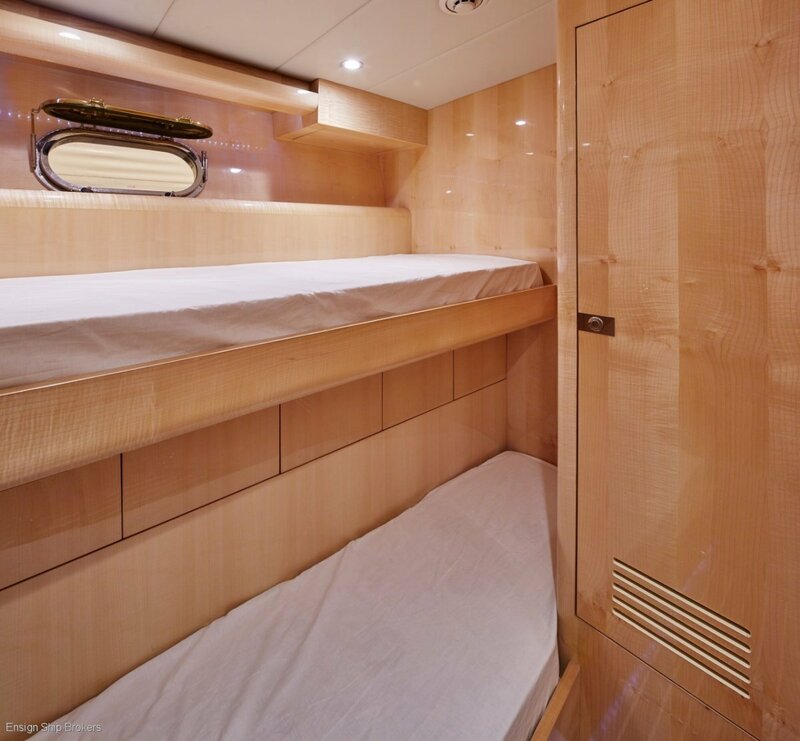 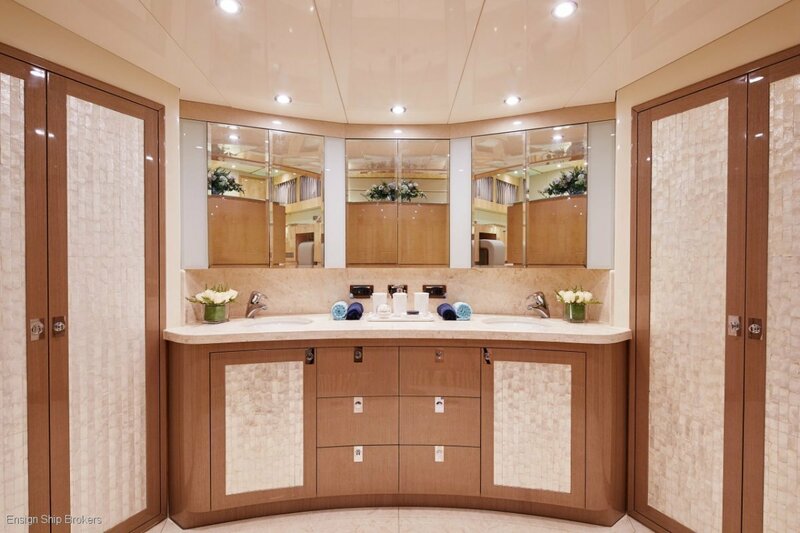 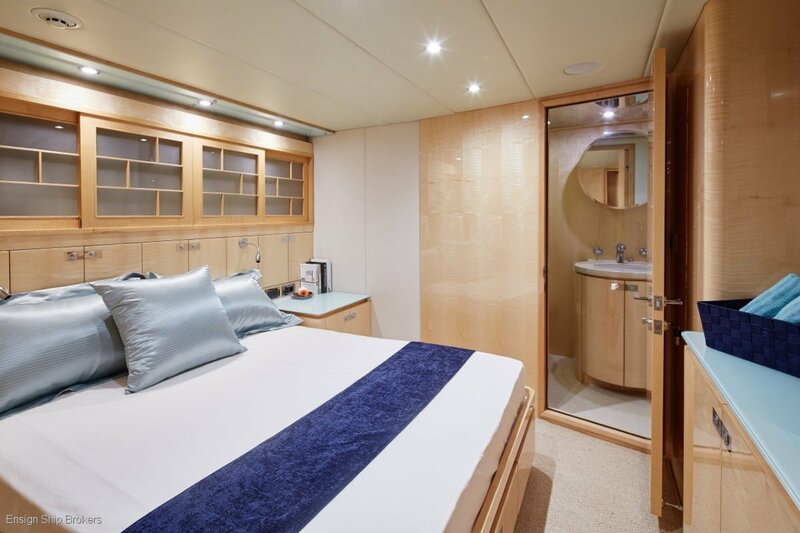 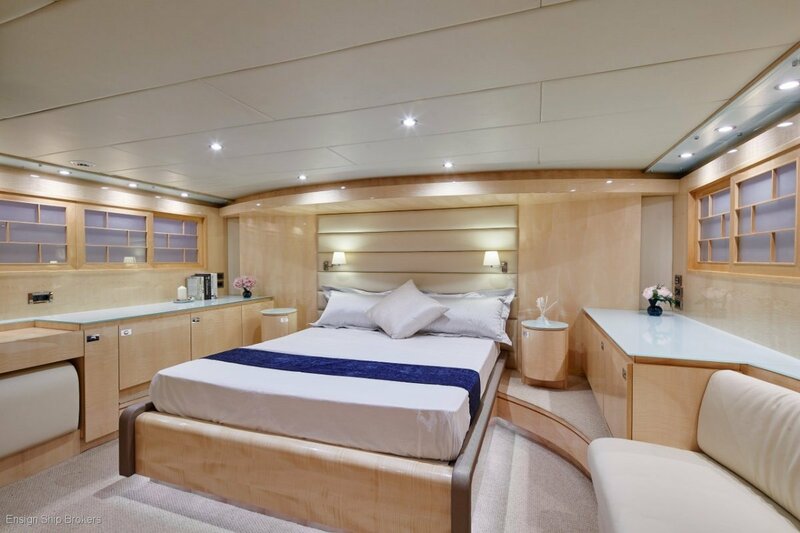 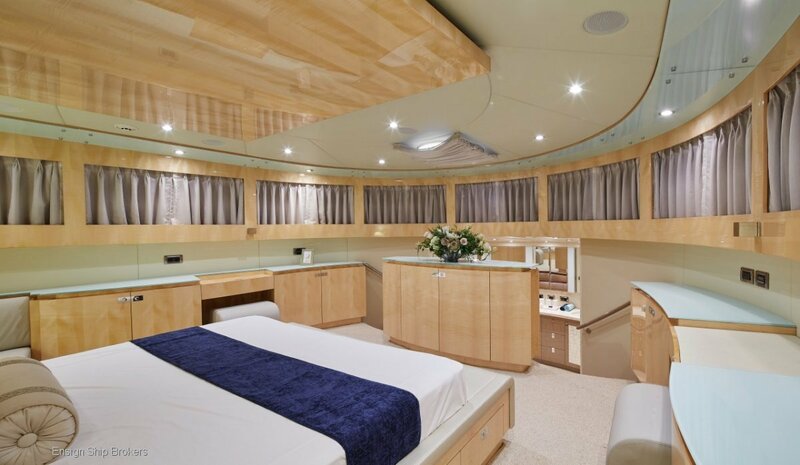 Any guests staying on board are sure to be satisfied with the accommodations. 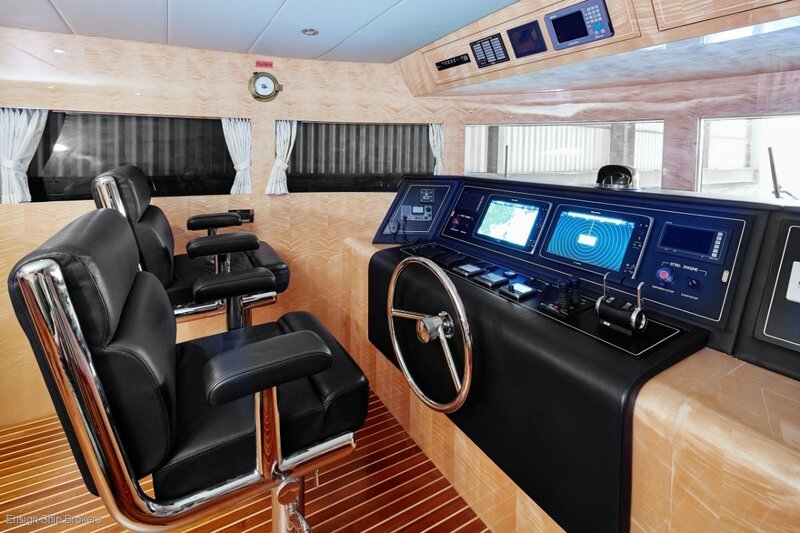 If you have looked at the enclosed flybridge Horizon models and like the concept and build quality, look at Johnson as well, you absolutely will not be disappointed. 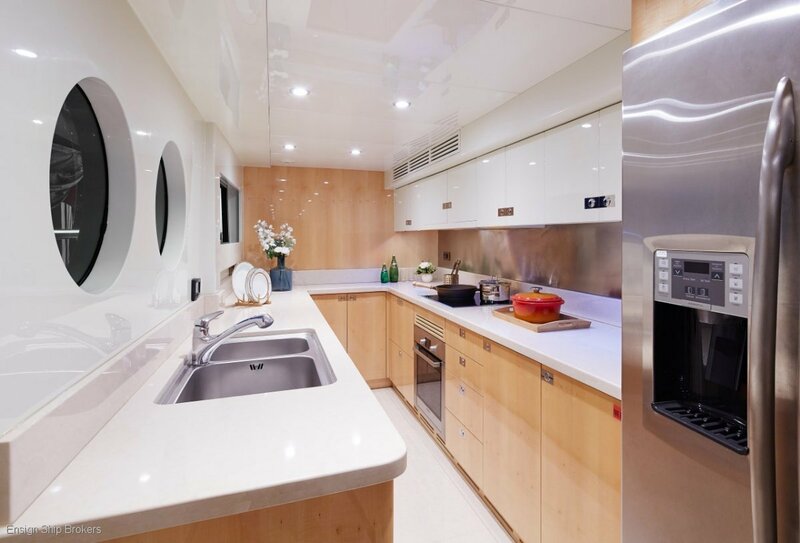 Also constructed in Kaohsiung Taiwan the quality of the Johnson workmanship, veneers and engineering is definitely on a par with their better known local rival. 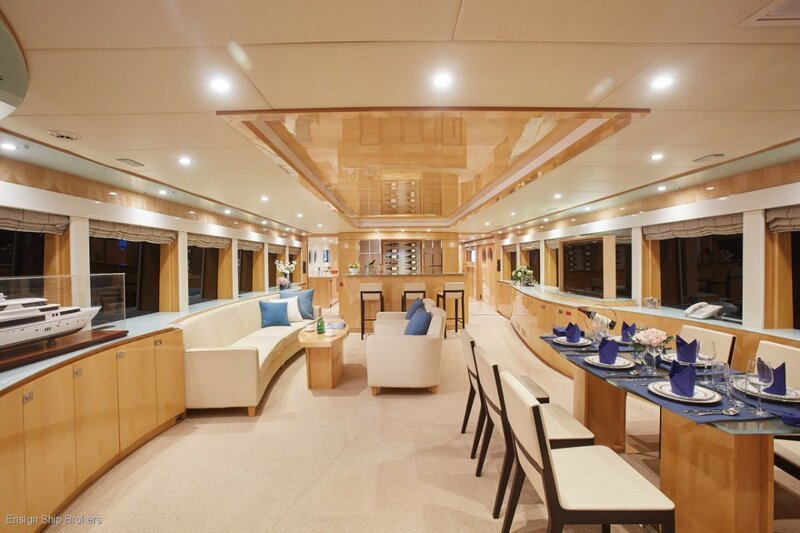 Designed by Australian Bill Dixon Johnson Yachts are specified for the demanding US market. 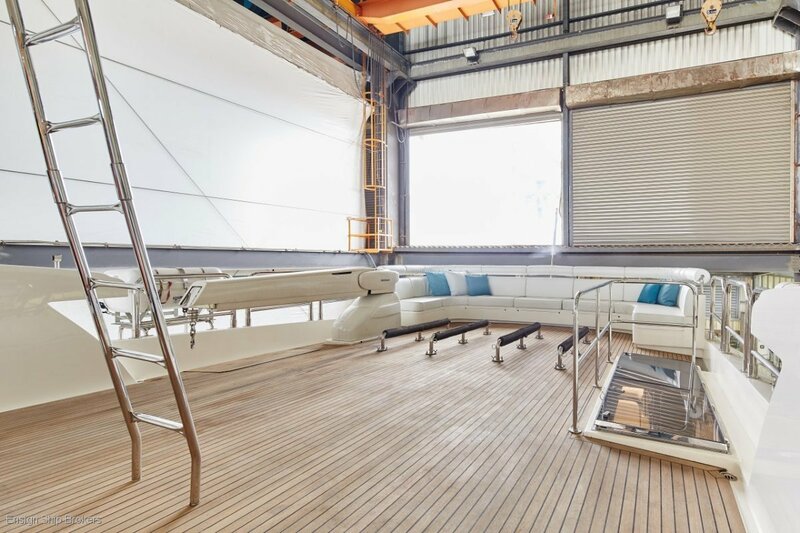 These are serious boats, sturdy, luxurious and well optioned you will find Johnson Yachts are also perfect for demanding Australian waters. 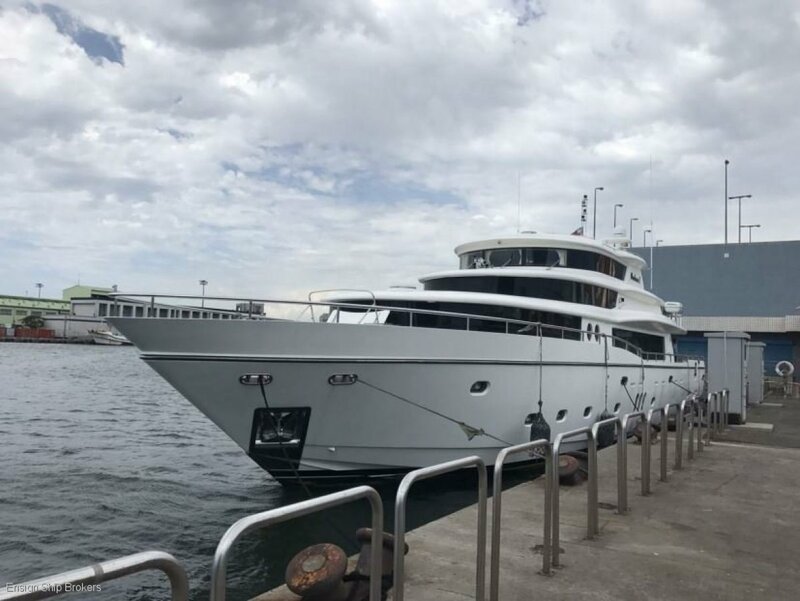 Currently lying at Johnson Yachts’ shipyard in Kaohsiung, Taiwan an opportunity exists here to acquire this low hour, turnkey vessel at a very competitive price. 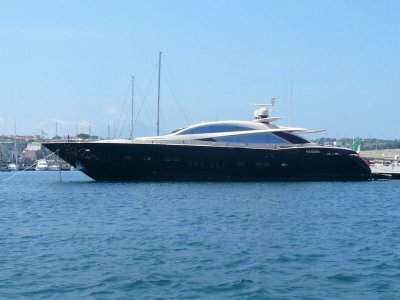 The owner is negotiable, the vessel must be sold. 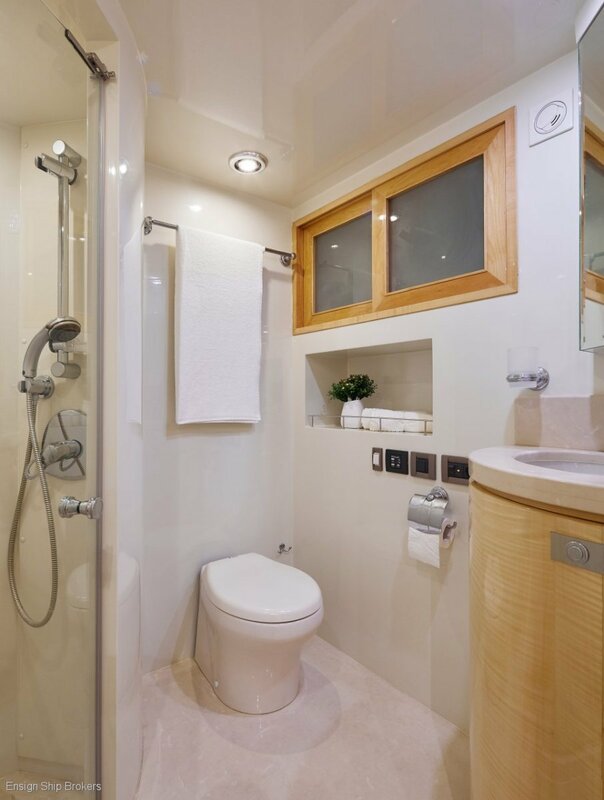 Call E S B Main Beach now for more details and a full specification. 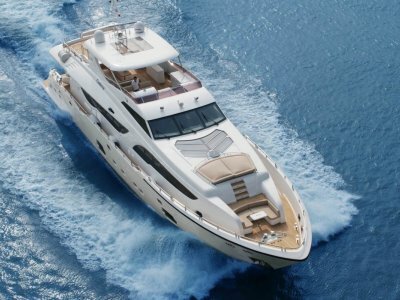 Riviera Sunseeker Princess Azimut Ocean Alexander Maritimo Fairline Ferretti Grand Banks Clipper Whitehaven. 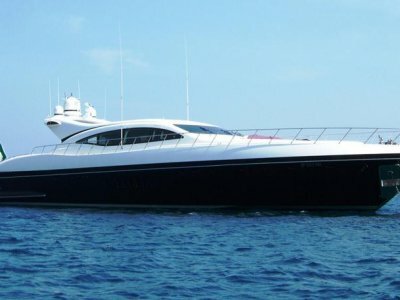 Sea-Fire FM200, 24V. 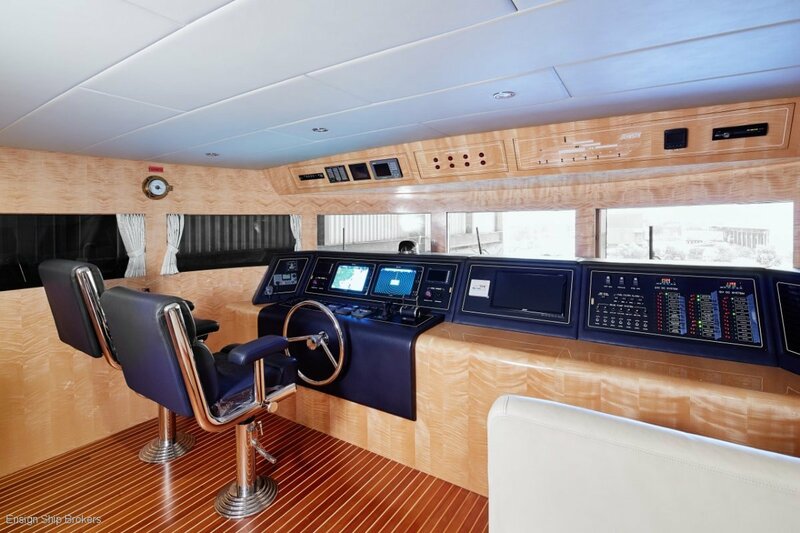 Sea-Fire fire detection & monitoring system throughout the boat. 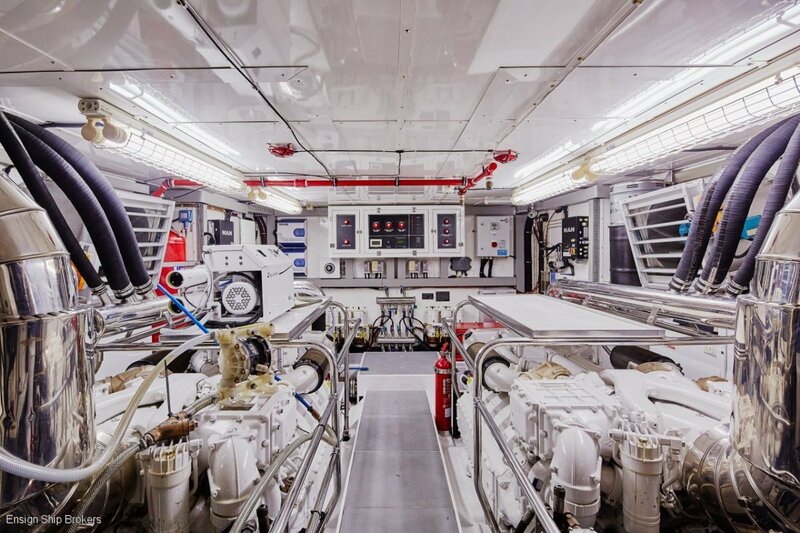 BATTERIES: 4 x Engine, 4 x Service, 2 x Genset.